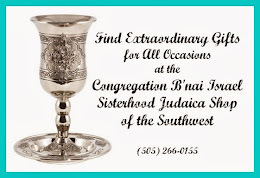 Defending Israel on Twitter: As we approach Shabbat Nahamu, the Sabbath of Consolation that follows the fast of Tisha b'Av, Abq Jew is thinking about hashtags. 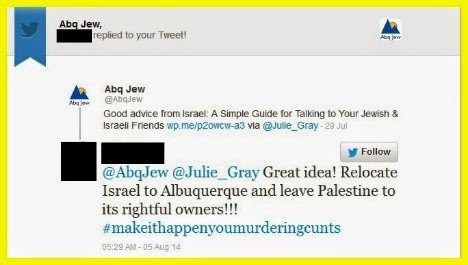 As many of his readers know, Abq Jew regularly but passively defends Israel on Facebook and Twitter. 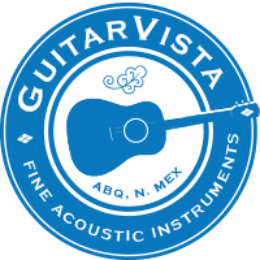 Why "passively"? Because he mostly shares good content on Facebook and retweets good content on Twitter. 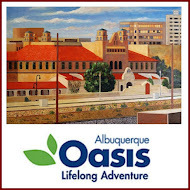 Abq Jew posts and tweets original content a few times a week - sometimes about Israel, but very often not. 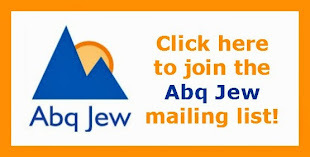 There are a lot of things going on in Jewish Albuquerque that Abq Jew wants to share with you. 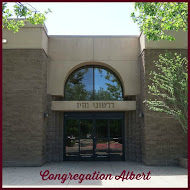 And Abq Jew is aware of - and very wary of - getting trapped by our new technology. In our hand we hold a small device that has access to much of the world's accumulated knowledge and some of its wisdom. to argue with people we don't know. Here are three (3) stories about hashtags. 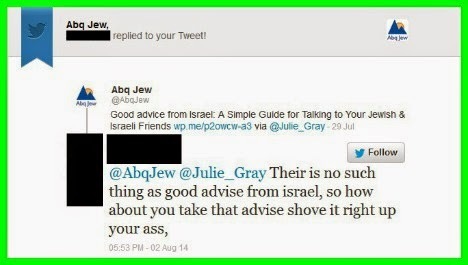 With all this in mind, @AbqJew retweeted a blog posting by Tel Aviv-based writer and coach @Julie_Gray, with the clever yet succinct introduction, Good Advice from Israel. Here are some simple Do’s and Don’ts to help you discuss the current conflict in Israel with your Israeli or Jewish friends on social media. These suggestions are tongue-in-cheek. Except they aren’t. Because most everybody I know who lives in Israel has received one or more of these types of messages and folks – this is not helping. Hey! I’m angry about this! 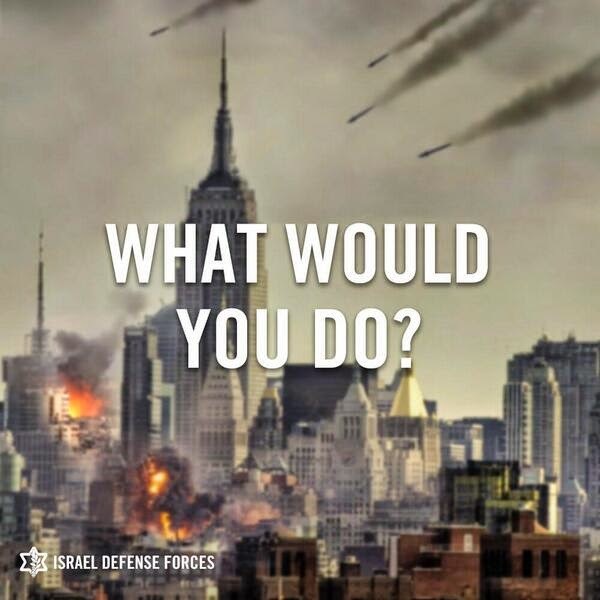 Why is your A) country B) government C) army D) people committing A) genocide B) such cruelty C) racism D) apartheid?! Hey, this is really awful, are you okay? Can you help me understand what is going on? OMG! Be safe! Arabs are all A) terrorists B) animals C) stupid D) all of the above! You should A) get rid of them! 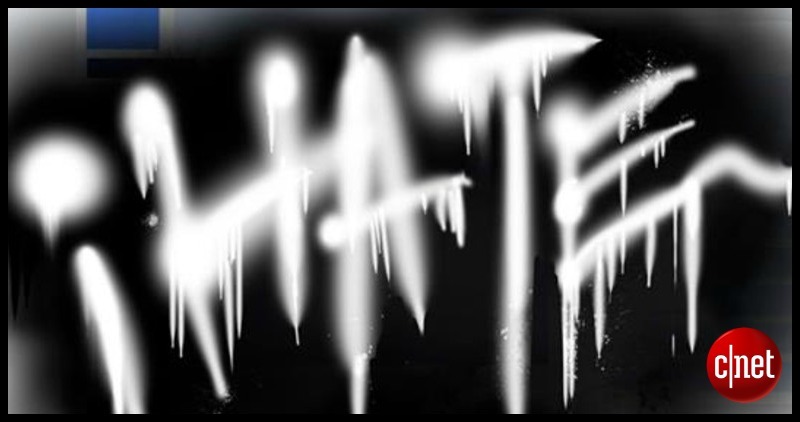 B) hate them! C) cheer on the world to wipe them out! 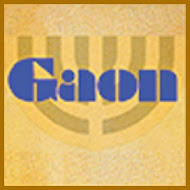 I just love and support blessed Israel so much because the messiah and Jesus and stuff and bless Israel and I’m sending you a tee-shirt and our prayer group is praying for you because my agenda (aw, poor Jews) my agenda (if they’d only listened before) my personal belief system (this is so biblical!) my agenda. LOVE YOU! Tongue-in-cheek, sorta kinda. Not exactly fire-and-brimstone. 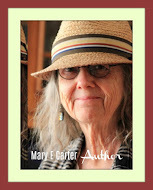 With a clear point-of-view, yet stated with humor, tact, and (mostly) good will. 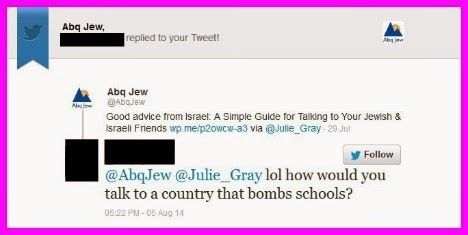 Before @Abq Jew's retweet, @Julie_Gray and Abq Jew did not know or even know of each other. Now we're in the hashtag war together. Except that we've chosen to avoid arguing with people we don't know. That's what friends and family are for. 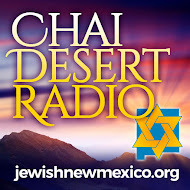 Chloe Valdary published an opinion piece in Tablet Magazine on July 28 that Abq Jew thought was very well written and slightly incendiary. You know - perfect. 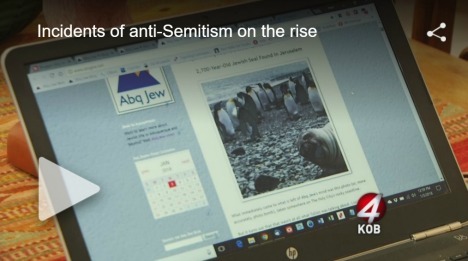 So Abq Jew shared the piece on Facebook and tweeted the piece on Twitter. 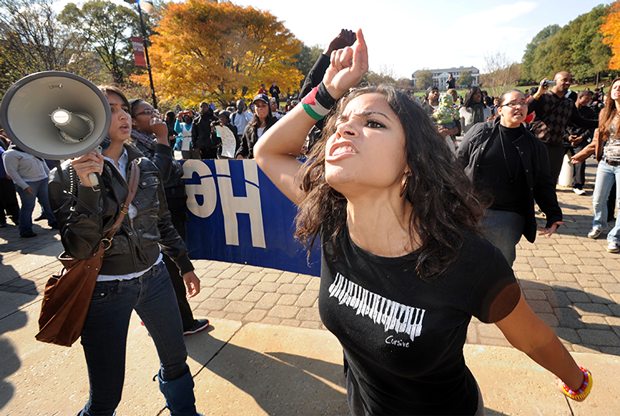 at the University of Maryland, College Park in 2009. If your heroes are clerics who sit in Gaza plotting the genocide of a people; who place their children on rooftops in the hopes they will get blown to bits; who heap praises upon their fellow gang members when they succeed in murdering Jewish school boys and bombing places of activity where Jews congregate—you do not get to claim that you are some Apollonian advocate of human virtue. You are not. One bad apple spoils the barrel? Not really. 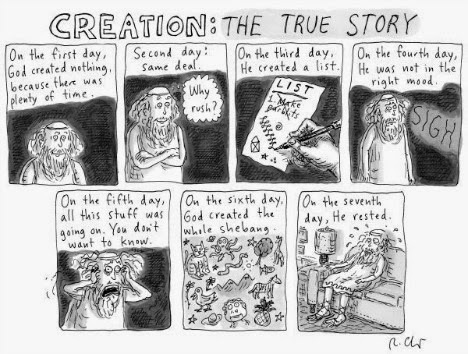 But then - Abq Jew is neurotic enough to be writing about it! Here is the best hashtag story - the one really good story that sort of makes the two previous stories go away. 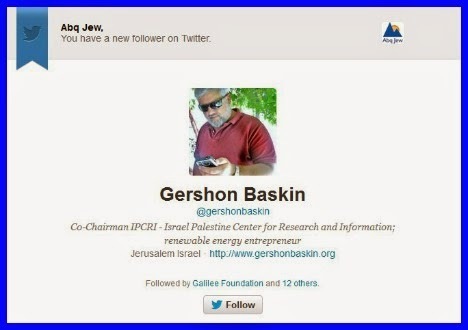 @Abq Jew was watching CNN (apologizes to everyone concerned) last Friday afternoon, when Twitter alerted him that he had a new follower: @gershonbaskin. Who, you may ask, is Gershon Baskin? 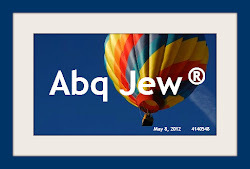 Abq Jew didn't know, either. But then Abq Jew looked at the TV - and there was our chaver, @wolfblitzer, interviewing Gershon Baskin. Really. You can click here for the transcript of that interview. Or click here to watch a different Blitzer-Baskin interview. 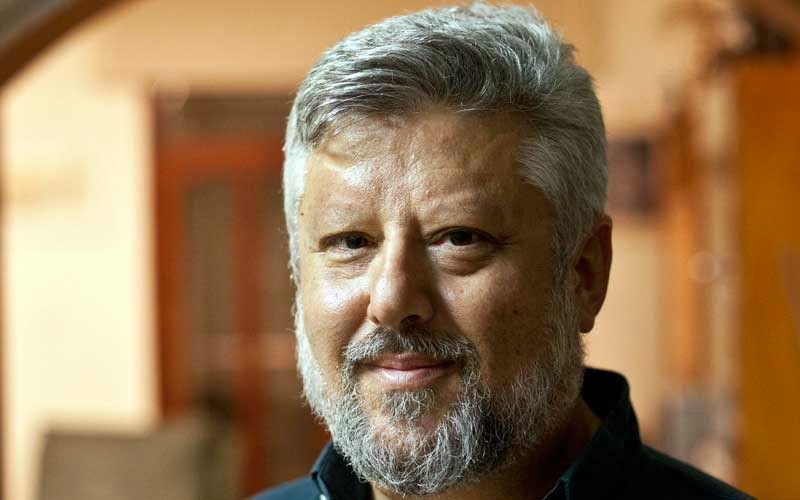 the initiator and the person responsible for the secret back channel between Israel and the Hamas that successfully negotiated the release of Israeli abducted soldier Gilead Schalit. 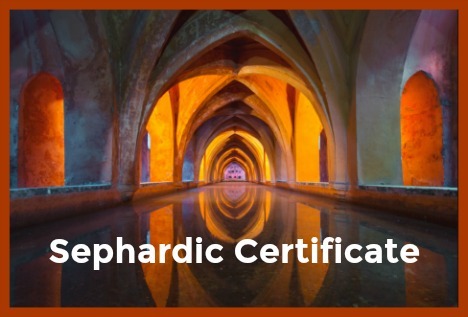 Dr Baskin was the Israeli Co-Director and founder of the Israel/Palestine Center for Research and Information (IPCRI) - a joint Israeli-Palestinian public policy think and “do”-tank located in Jerusalem. 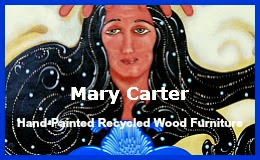 Since January 2012 he is the Co-Chairman of IPCRI’s Board of Directors. 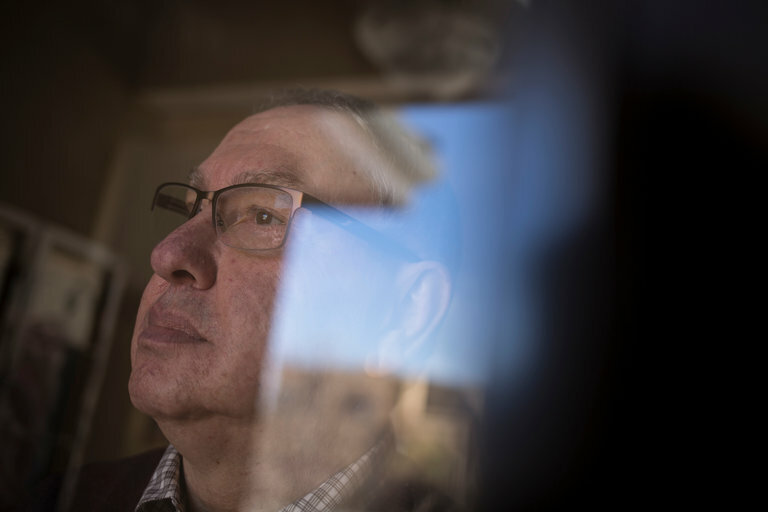 He initiated the founding of IPCRI in 1988 following ten years of work in the field of Jewish-Arab relations within Israel, in Interns for Peace where he lived for two years in the Israeli-Palestinian village of Kufr Qara, the Ministry of Education and as Executive Director of the Institute for Education for Jewish-Arab Coexistence (established by the Israeli Ministry of Education and the Prime Minister’s Office at Baskin’s initiative). then went on CNN to talk with Wolf Blitzer. And while we're talking: You might think, after reading Dr Baskin's bio above, that he is a left-leaning, Israel-bashing, "pro-Palestinian" Jewish intellectual type. Nothing could be further from the truth. Dr Baskin is a practical, pragmatic political activist. 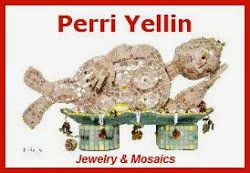 A problem-solving, reality-based peace engineer. 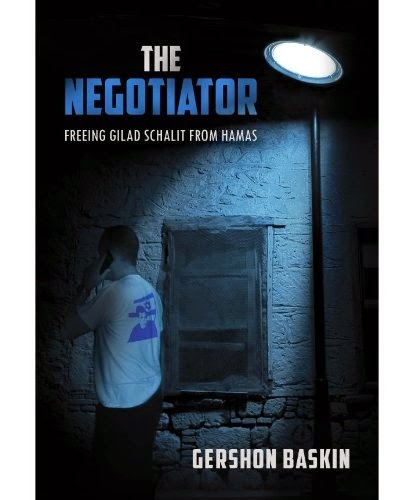 Abq Jew invites his readers to visit Gershon Baskin's website; to follow him on Twitter; and to read his book, The Negotiator: Freeing Gilad Schalit from Hamas. Why can't people just get along? I guess this is never going to happen. And I suppose it is hopelessly naive to even ask the question. Still and all, one can dream and have hope for a better world.